Ben approached us as he’d just opened up a large flooring showroom in Halifax and needed to get his company name out there to new potential customers. 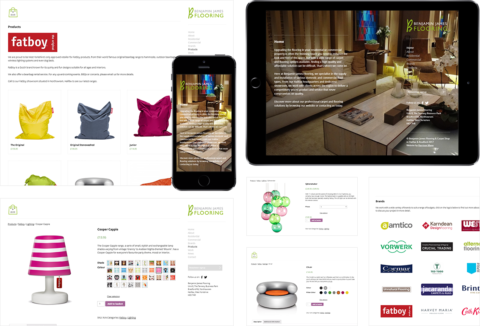 The company needed a responsive website which would be optimised for mobile phones and offer an easier method of finding its products and services. 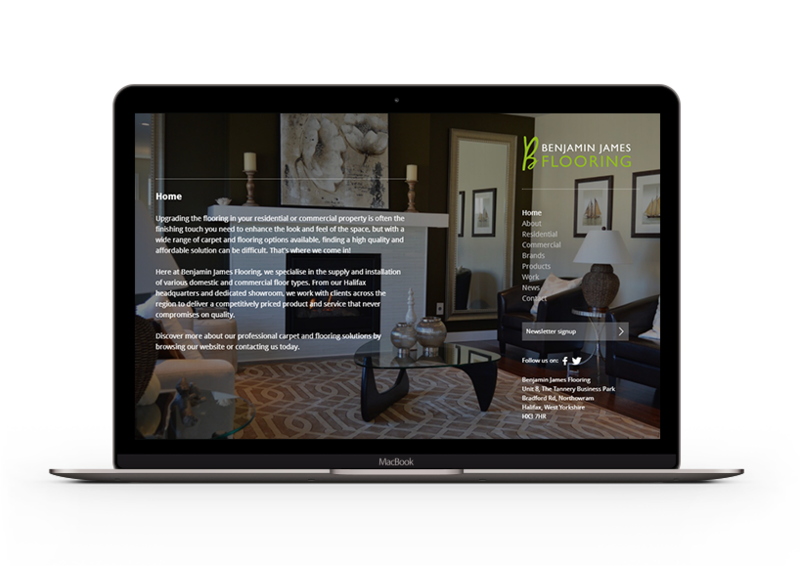 As a new company, we needed to build everything from scratch and ensure that his website was optimised for local searches, while also making sure that the products on offer were displayed in a way in which enticed sales and interest. We had a short period of time in which to do this as Ben had sales targets and a growth plan which were fundamental to the expansion of the business. We began by heavily researching local competition and the look of the business Ben wanted in order for him to gain more business from the commercial flooring industry, as well as maintain and improve his strong residential flooring clients. We built a website that targeted both B2C and B2B which is no easy feat, as both clients require different information. We also helped update branding materials and company logo, as well as create a new brochure that targeted B2B customers and showcased the extensive products on offer along with past work completed. This was all within very tight deadlines.